Happy National Medal of Honor Day! We here at Santa Barbara Wedding Style are especially thankful and would like to honor our men and women in uniform who have gone above and beyond the call of duty to defend our country! 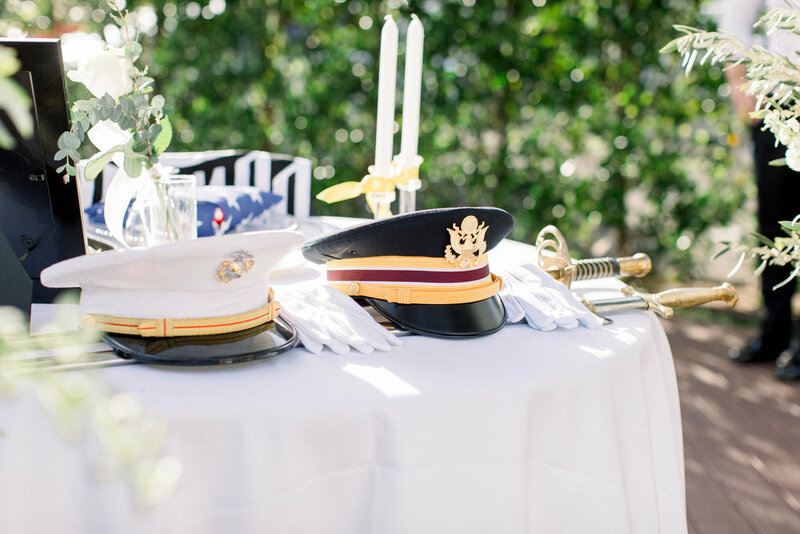 Today’s photo is of a Military Memorial table honoring the bride and groom’s relatives and friends who had served in the military at this Santa Barbara Club wedding. You can check out all the details planned by Bluebell Events and photographed by Jenny Quicksall Photography, HERE.